Greetings From The Piedmont School! There are many things unique about our school, and we are different by design – to help students achieve both academic and social success.We are a non-profit organization providing a unique, essential service to children in our community with learning disabilities and/or Attention Deficit (Hyperactivity) Disorder ADHD. In addition to our full day school program, we offer specialized tutoring and academic coaching that incorporate appropriate teaching and learning techniques that are specially tailored to individual students’ needs.We maintain a small class student-teacher ratio with five to ten students per class. We do this in order to establish a supportive, non-intimidating atmosphere in the classroom. For our teachers, the heart and soul of their mission in life is to create a warm, family atmosphere designed to help the students they teach. They also are committed to guiding parents in how to best assist their children in overcoming the hurdles that have prevented them from being successful in school. When students enter The Piedmont School, they can immediately take a breath, feel relief from fighting the system, and enjoy a place where they are accepted and encouraged to learn and grow. We focus on promoting respect and responsibility designed to foster healthy social skills and enhanced self-esteem. 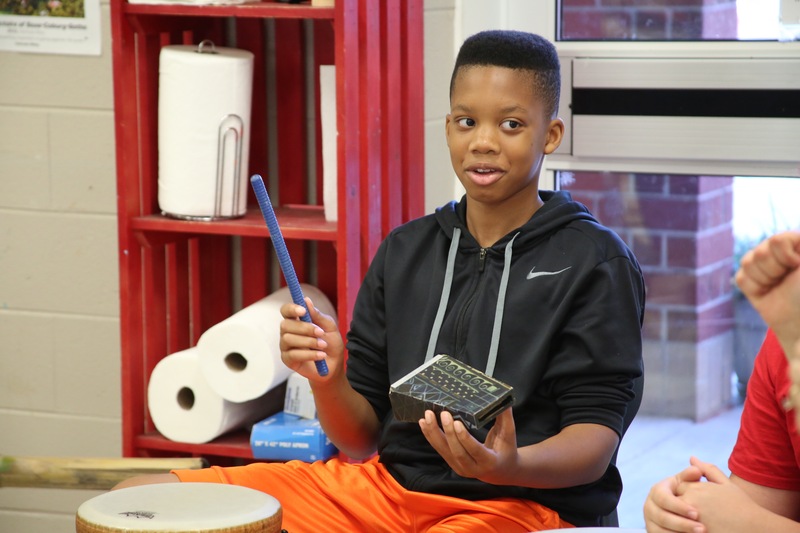 I invite you to visit The Piedmont School and learn more about what we have to offer and see for yourself the supportive environment that surrounds all our students. Check out information on Panther Athletics including league information, sports teams, and schedules. Information on the TPS Arts Department including Music, Drama and Art. Find information on the John Yowell Academy High School at The Piedmont School. A wonderful blog from Mrs. Kelli Saenz on the importance of reading in a child's social, emotional, and intellectual development. An important update from TPS Director of Communications, Kori Mackall on current viral video and social media concerns. The John Yowell Academy at The Piedmont School program has grown tremendously over the last five years. Check out this article in Forsyth Family Magazine about the great things happening in JYA! Tips for parents when your child seems to hate school. Mr. Montgomery's monthly article in Guilford Woman Magazine. This month focuses on several notable athletes and performers who struggle with learning differences and serve as inspiration for younger students who may feel alone in their learning challenges. Check out Mr. Montgomery's article in the September edition of Guilford Woman Magazine. This is the time of year when we make decisions as to how our students should spend their summers. All students seem to lose some of what they have worked so hard to gain during the school year over the summer months; it just seems our population of student seems to lose much more. Plan a mixture of academic and fun adventures to keep them from getting bored. I am big on self-esteem and at The Piedmont School, we are always thinking of new ways to reward our students for good work. That should not stop in the summer, and incentives are a great way to get buy-in from your students. What do you do as a parent when your child hates school? What should you look out for and what can be done to get to the root of the problem? The Annual Educators Workshop at The Piedmont School and John Yowell Academy will be held Monday February 5, 2018! This is a FREE workshop for area educators. Join us Panther families and community members for TPS' annual whole school musical production! This year's production is Beauty & The Beast. Showtime is 6:00 pm. All students will need to arrive between 5pm-5: 30 pm. Spring Break will be 4/19-4/26 for all TPS/JYA Students and Faculty. Classes will resume Monday, April 29th. "The Piedmont School strives daily to be the educational oasis that quenches the thirst of students who learn differently."